Does anyone still dye boiled eggs yellow at Easter with (now this is Mother Duffins name for this so there is a high possibility it’s made up…) ‘whin bush’ petals, then roll them down a big hill and chase after them??? Ahhh, the memories…. Here’s a tastier version, I wouldn’t roll them down a hill though. In a big bowl mix together the nut butter, maple syrup and coconut oil. Add the ground almonds, salt and vanilla. You can chill the mixture for a bit now if it’s too soft to shape into eggs or if you’re good to go take a teaspoon for small or a tablespoon for large eggs. Use two spoons to shape and push the mixture of the spoon and onto a baking sheet lined with greaseproof paper. Large will make about 10, small 20. Chill in the fridge for an hour or two. When they are firm, melt your chocolate and coconut oil in a bowl over a pan of barely simmering water. Set aside to cool off. 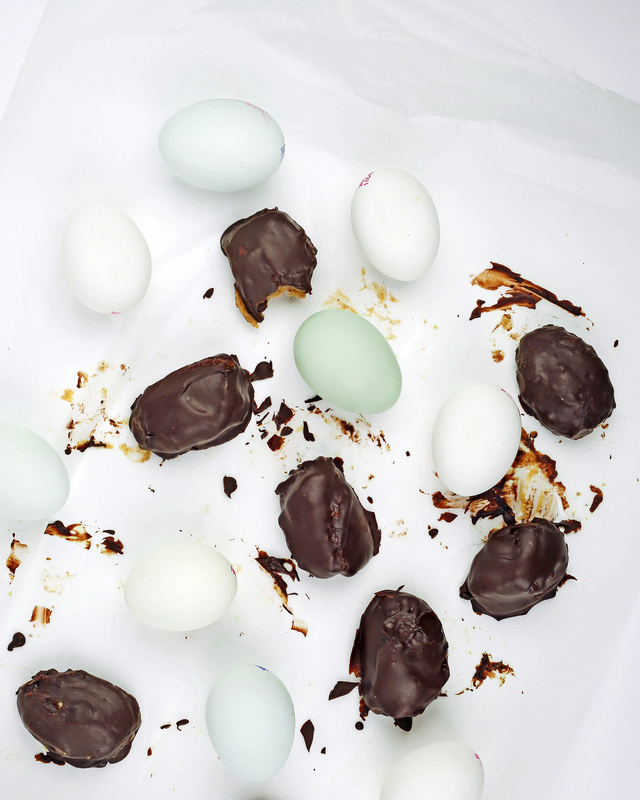 I found it better if there is no heat in the chocolate before starting to coat your eggs, but it’s still a liquid obvs! 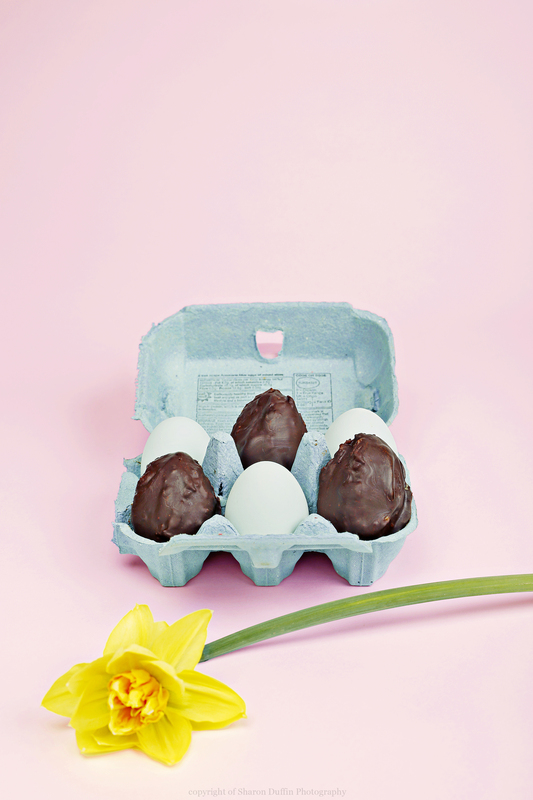 Spoon the chocolate over the eggs, or dip them – whichever works best for you. 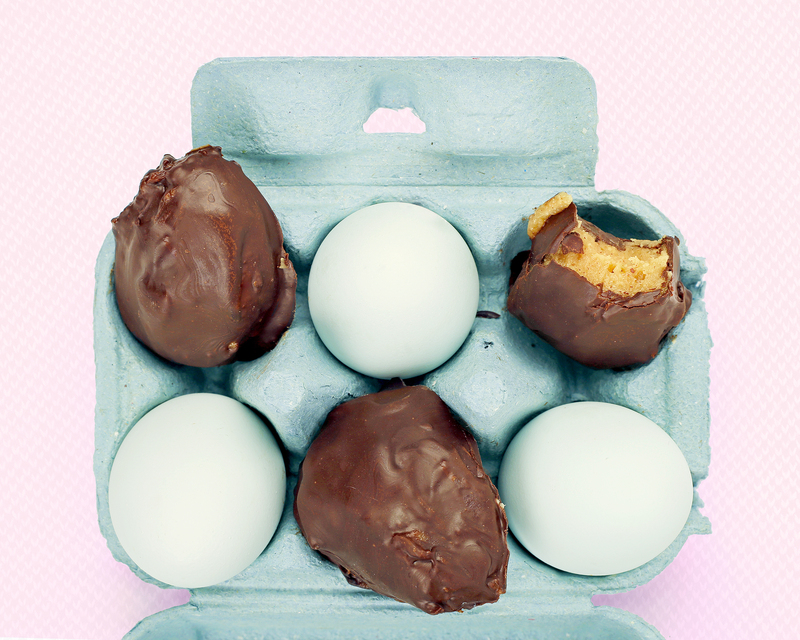 Stick them back in the fridge for the chocolate to set. 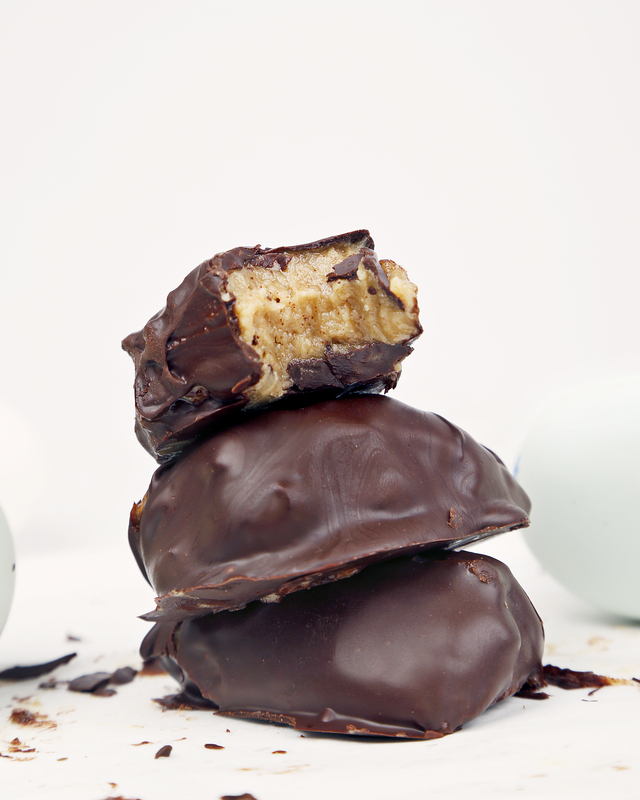 There you have it, healthy chocolate nut butter eggs to feast upon! Additions to these moreish mounds can be anything from a hazelnut center, made with Keen hazelnut and dark chocolate (oh I’m trying that!) dried fruit, seeds, rolled in chopped nuts, Keen macadamia and white chocolate and dipped in white chocolate…the possibilities are endless!